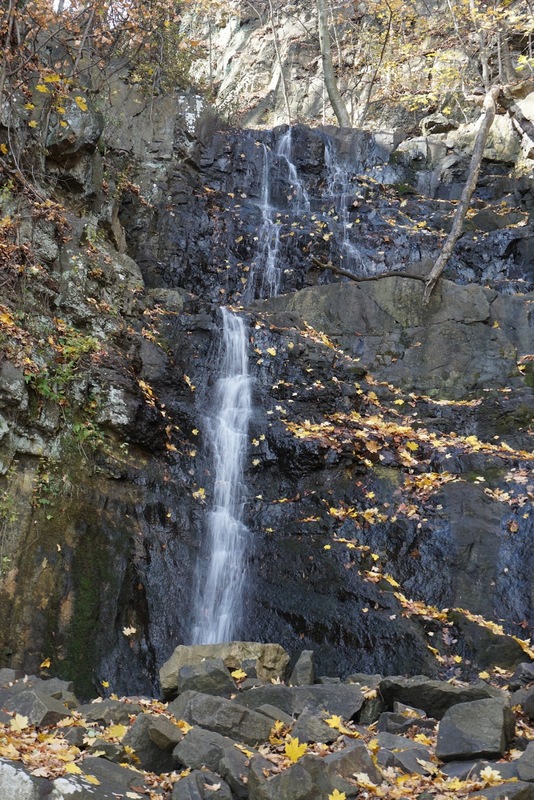 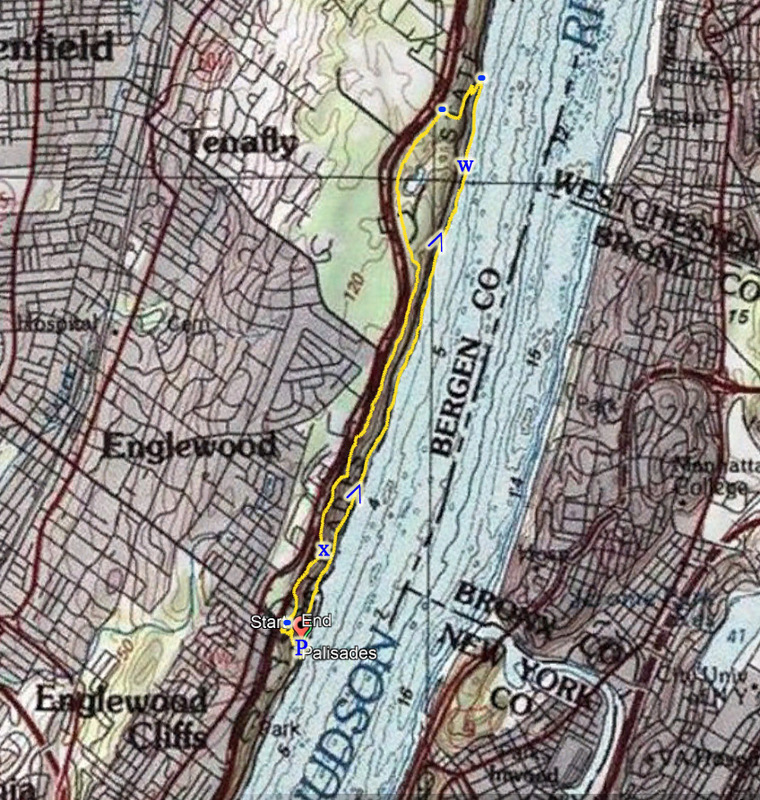 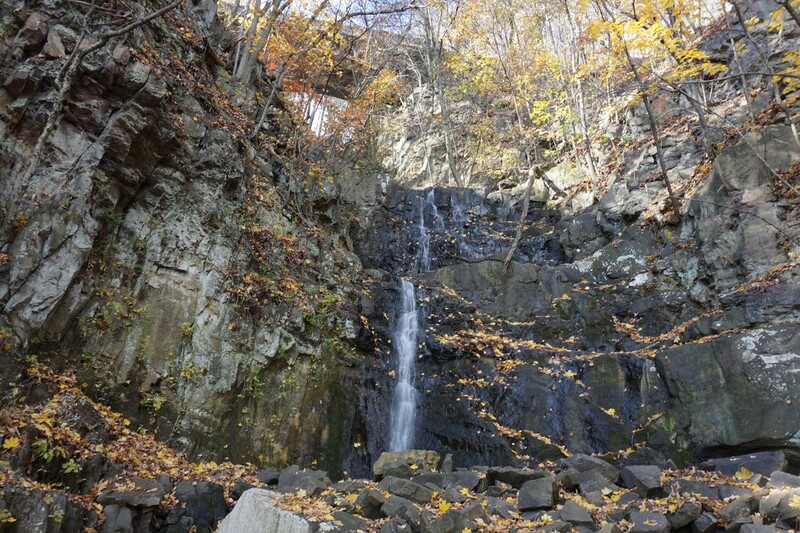 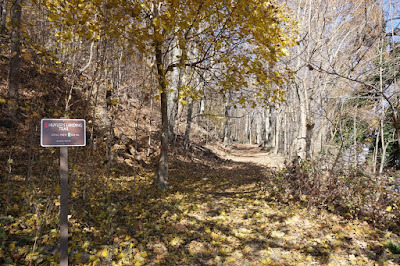 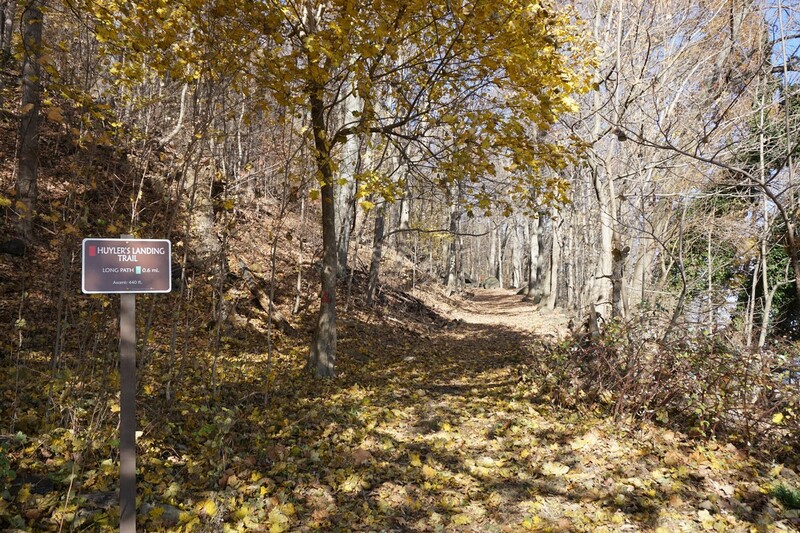 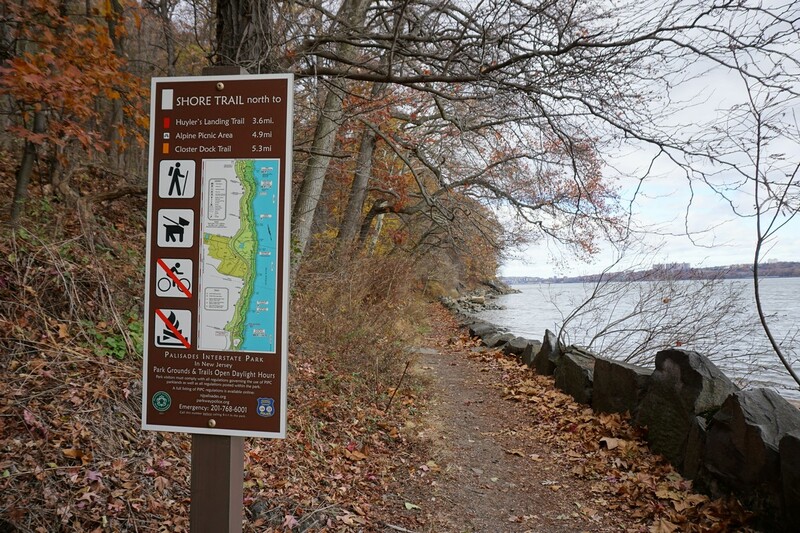 This is the longest stretch for a loop hike in the Jersey Palisades. The terrain and views are similar to some of the others that I have done in the past, and I wanted to cover some more of the trails along the Long Path and Shore Trail that I had not yet done. 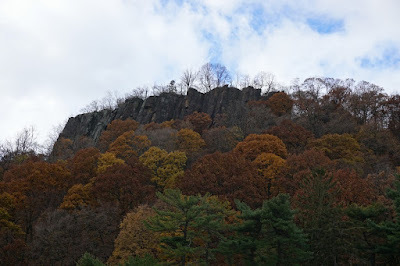 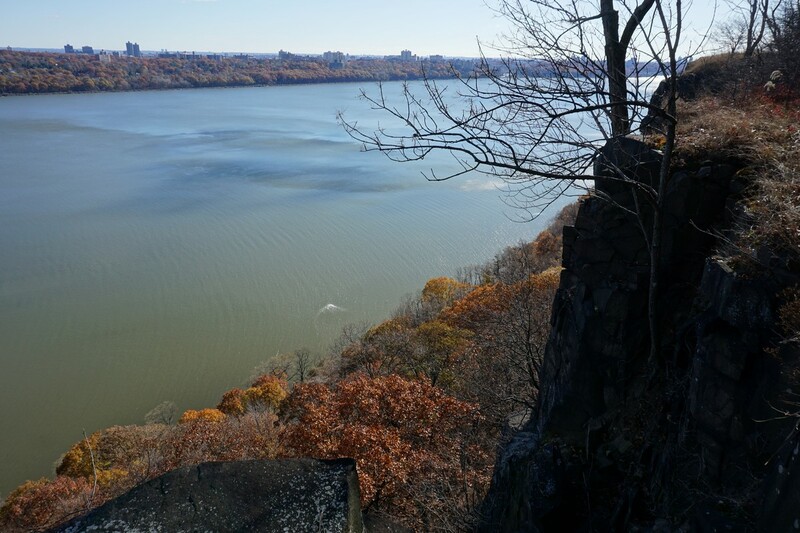 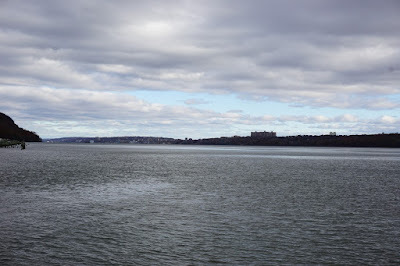 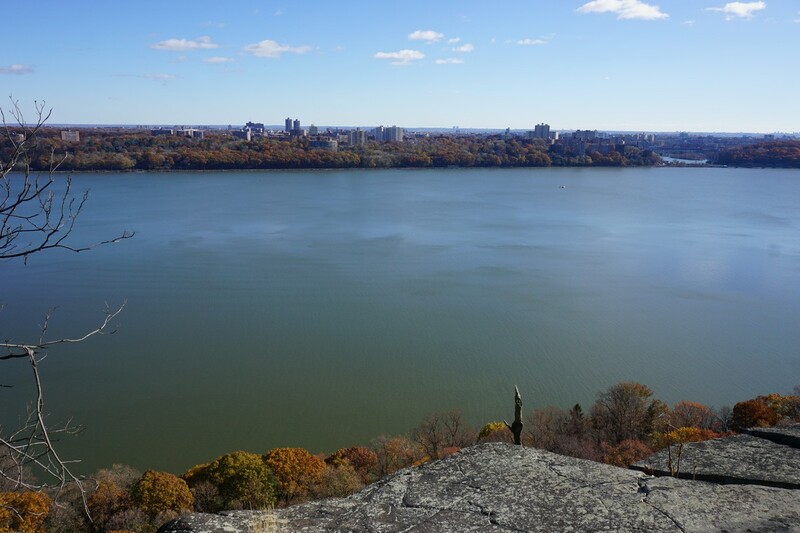 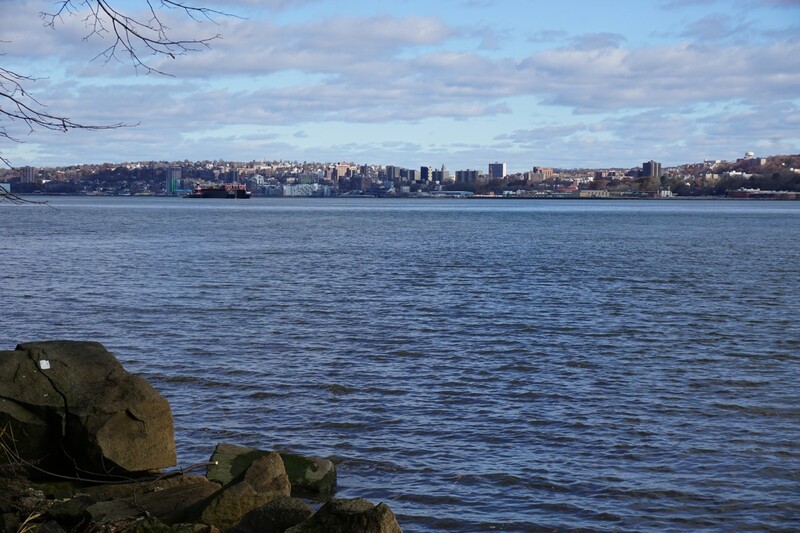 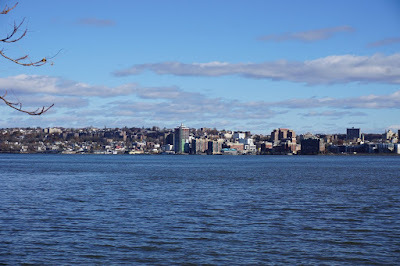 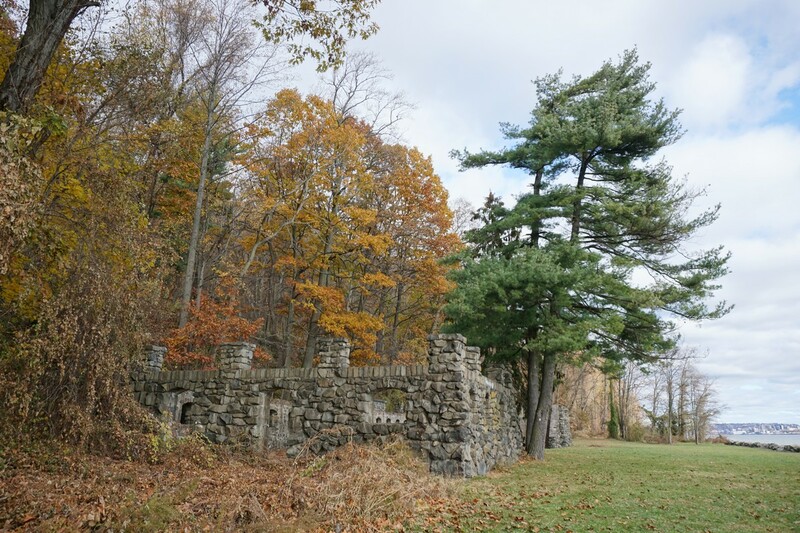 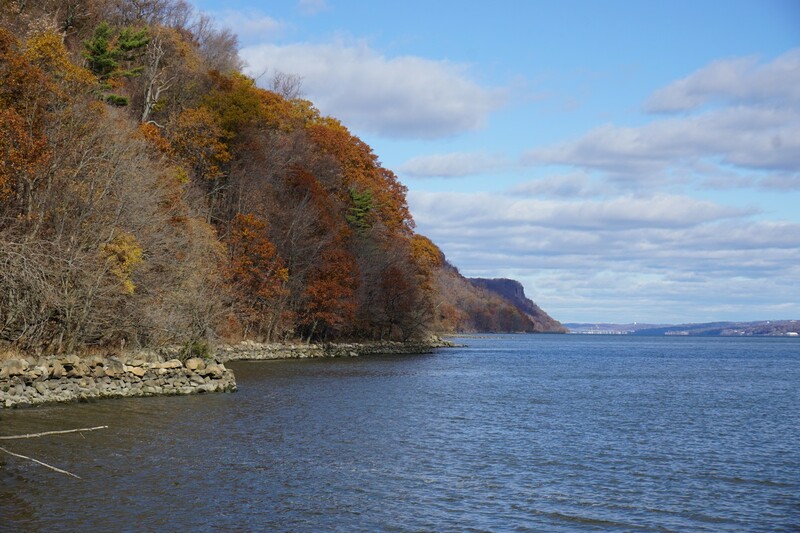 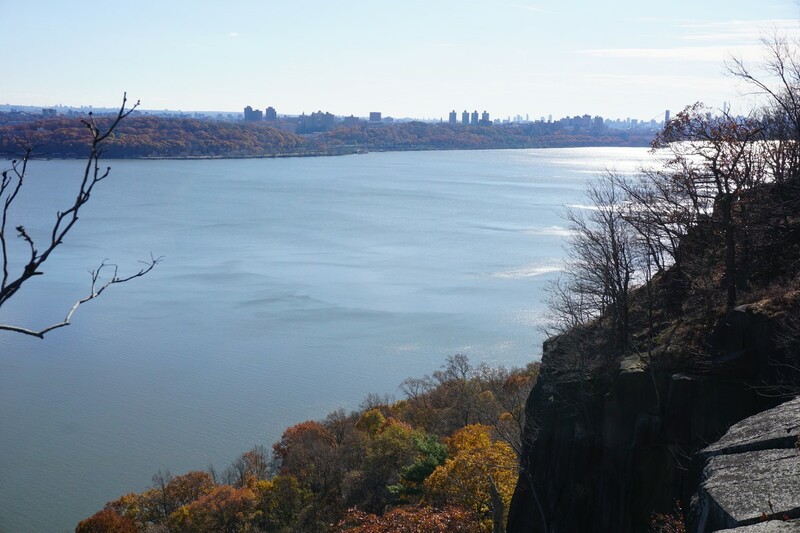 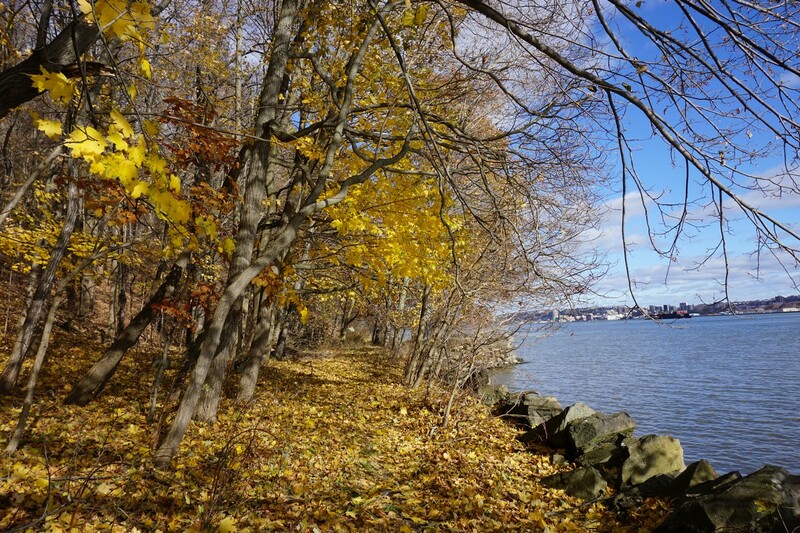 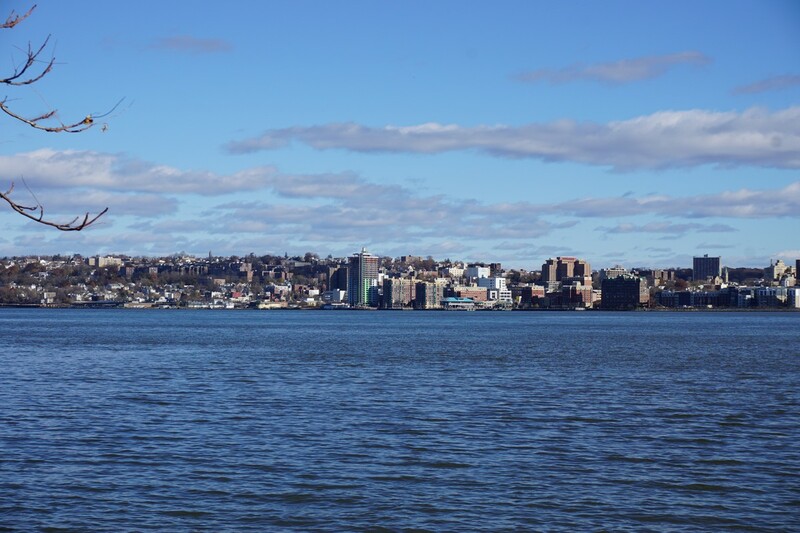 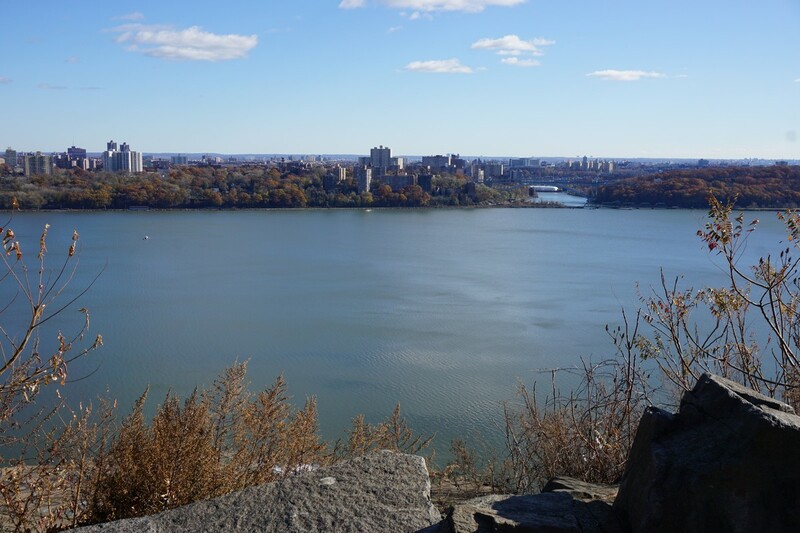 This hike, like the other hikes in this area, features dramatic diabase cliffs along the side of the Hudson River, with a pleasant walk alongside the river on the bottom, and nice views above the cliffs on top. It was a seasonally brisk late November day, and there was surprisingly some foliage and color remaining despite the lateness in the season. 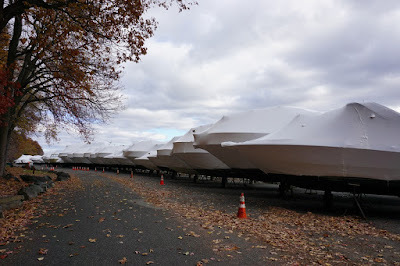 I parked at the Englewood Boat Basin and Picnic Area down at the bottom of the Palisades, and went on the Shore Path northward along the side of the river towards Huylers Landing. 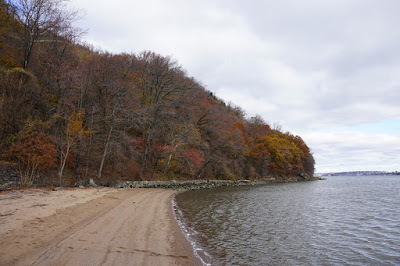 Along the way I passed several points of interest, including Bloomers Beach, Undercliff Dock, Canoe Beach, Powder Dock, and Lambier's Brook. 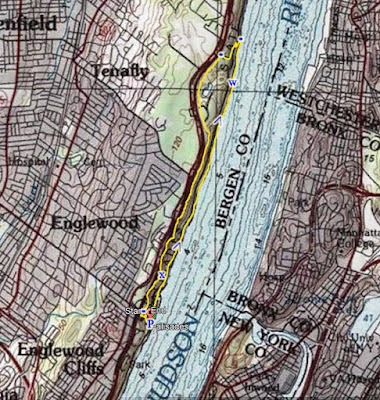 All these areas are on the map but they have all since reverted to a wilderness state. Across the river was an urban view first of Inwood Hill Park in Manhattan, the Henry Hudson Bridge, the Riverdale section of the Bronx, and then the urban waterfront and downtown of Yonkers. A short distance before Huyler's Landing is Greenbrook falls, an attractive and beautiful waterfalls with a significant amount of water despite the recent dry conditions. 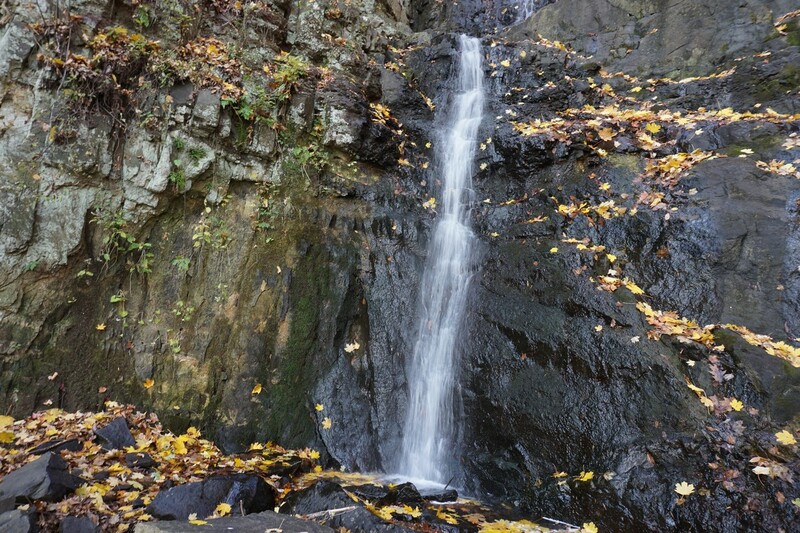 It is a surprisingly significant falls given its close proximity to New York City. I then continued to the Huylers Landing Trail snaking up the cliffs. 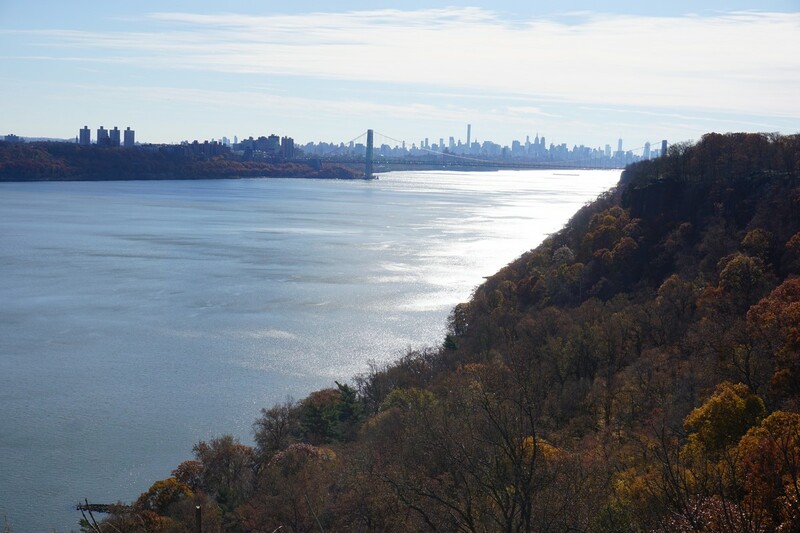 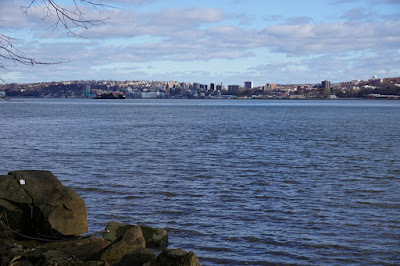 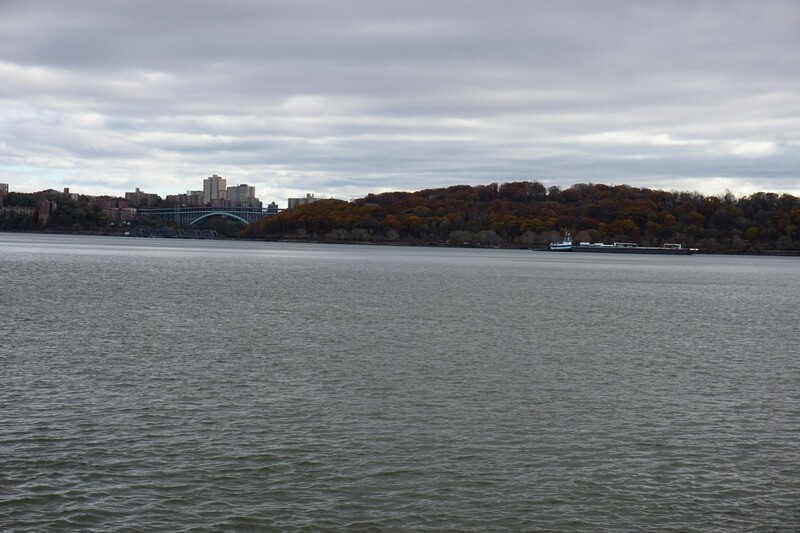 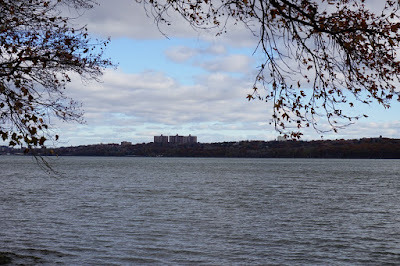 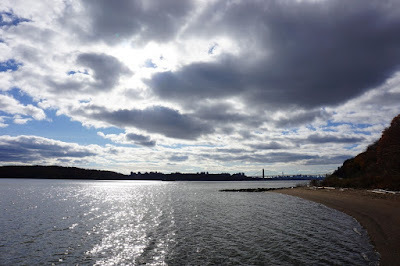 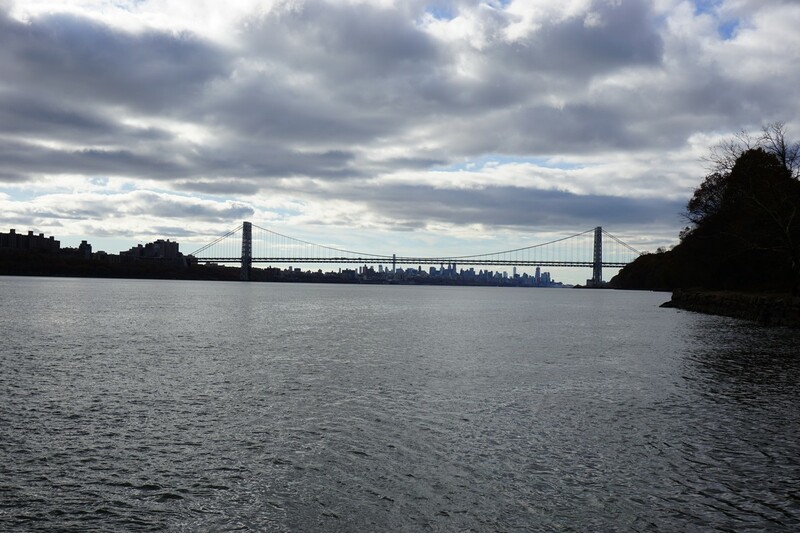 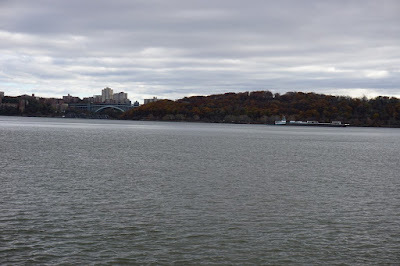 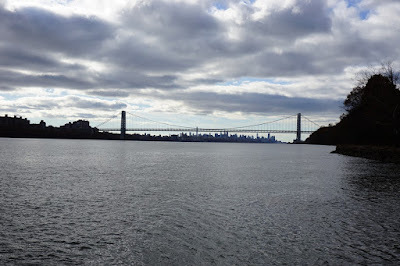 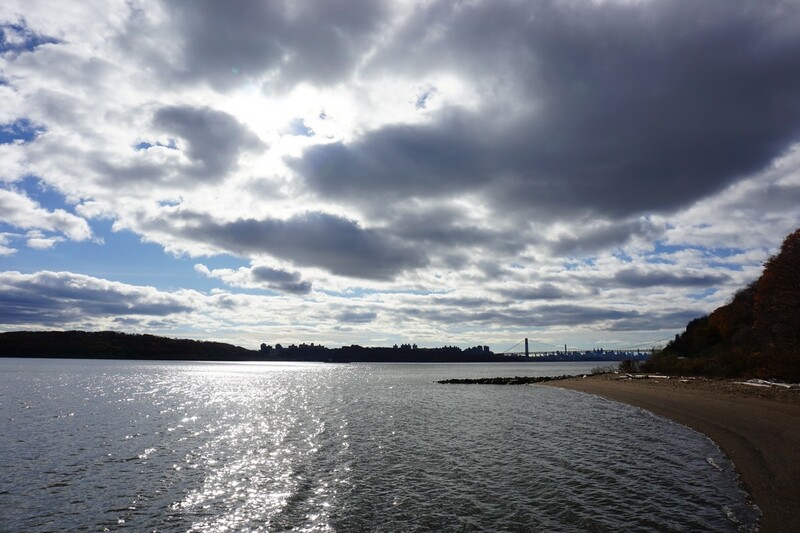 At the top of the Huylers Landing Trail, I took the Long Path north parallel to the Palisades Parkway going southward. This part of the hike is very loud from the constant cars in proximity on the highway. 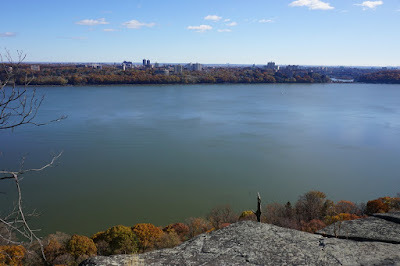 The trail goes to the Rockefeller Lookout, which affords excellent views from the top of the cliff across the Hudson River. 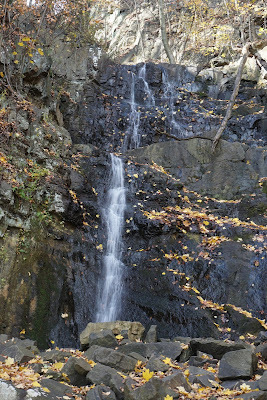 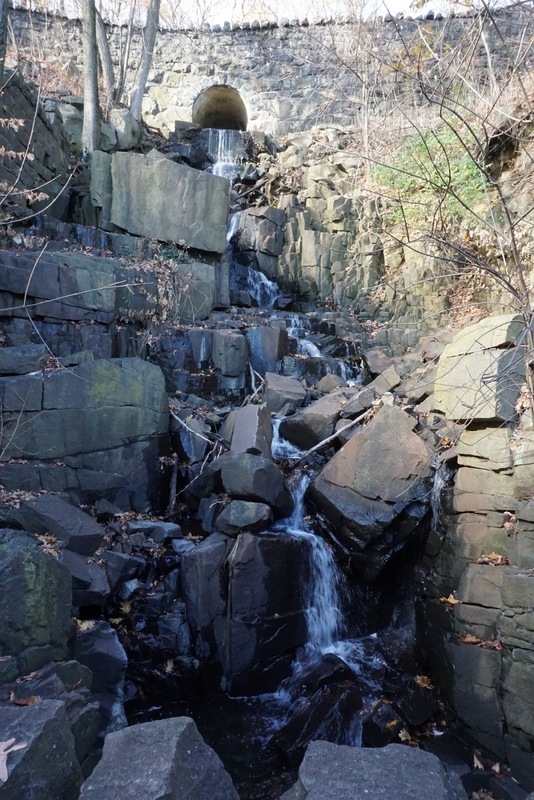 I continued until the Dyckman Hill Trail, which descends the cliffs by Englewood Ave while passing a different set of waterfalls along the route. The Dyckman Hill Trail ends at the Englewood Picnic Area where I had parked my car.